I love this day and I love the 80’s. Honestly I think this is like the best day of the week. Â THE. BEST. Â It’s the kickoff to the weekend. Â The time that Banjo is off school, Audi is off work, and we can just have family time. 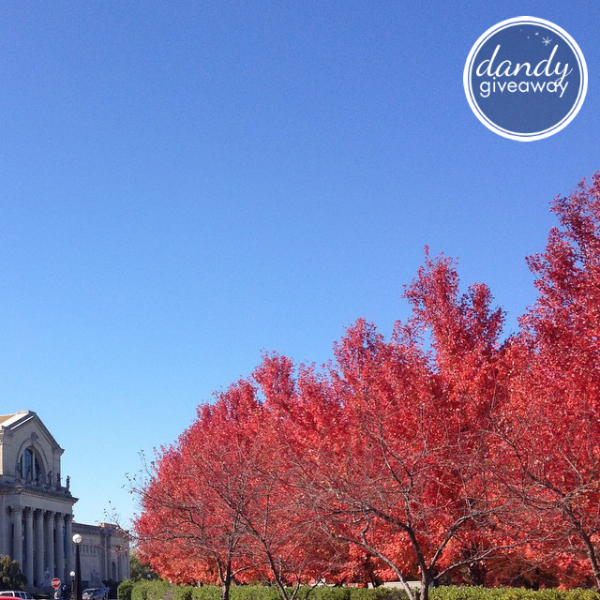 Â Andâ€¦ it’s fall so that makes it doubly dandy. I mean seriously? Â How can you not love the hue of that red? Tell me. Â How can you not LOVE it?! Â It’s super, duper dandy. I’m thinking that I need to take some more fall pictures and put them in some photo books to preserve the memories. Â Then I’ll get to view them all year long and not just in fall. I think I might be just a tad gaga over fall Friday. Putting the season of fall asideâ€¦ Why do I like this day so very much. Â Well, this day reminds me that I get to have anÂ entireÂ dandy weekend. Â A dandy weekend of family fun. Â A dandy weekend of family games. Â A dandy start to weekend that culminates with church on Sunday. Â That’s what we do on the weekends around here. Â We spend time with family and then attend worship services on Sunday. Â Then we work all week until the next Friday. Â Yay for Fridays! What do youÂ love about Friday and what do you do on the weekend? A dandy Friday to all!! !